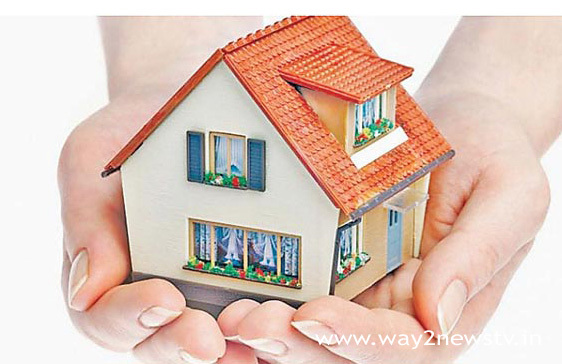 In Navodhya, the government has granted a large number of houses for two years. As part of this, thousands of houses have been sanctioned under various housing schemes. 49,865 houses were sanctioned under NTR Rural Housing. Only 15 thousand of these are completed. The construction of 14 thousand houses has not yet started. 20,865 houses are in different stages of construction. 20,482 houses have been sanctioned under the NTR Rural Housing. Three thousand of these constructions are completed. 7500 house structures have never been erected. 9982 house structures are in different stages. The NTR Urban Housing was sanctioned by 3788 houses while 1878 houses were completed. 1910 houses are in different stages of construction. Each home has a house of 250 houses. The minimum 10th grade is 10th grade and it is possible to select the unemployed who have read the degree. It is possible to hire up to 300 household allies across the district. Selected home allies will be fully monitored on the construction of the house. The beneficiary will start paying Rs 150 per family to the basement level starting from home. From Rs 150 to Rs. 150, from there to the roof to get another Rs 150. Slab from there and make a toilet is Rs 150. If the house is over, another Rs 150 will be paid. The house is full of Rs.550. How many households are to be completed? After uploading the production progress online, the money will be deposited in a related housing account. Looking at the development of more than one month, the extra 750 is given to each house. In ITDA, Rs.3,000 is paid. The housing team will have to pay up to Rs 20,000 per month. The government, which aims to complete ten lakh homes, has granted thousands of homes to the district. But this home has not started much from the government's goal. Stripped at different stages in some places. Recently the government brought home appointments. Outsourcing method has been replaced by previously appointed work inspectors. Those who worked as a work inspector in the past also will be given a chance at home. They will be entrusted with the responsibility of the Government to help the beneficiaries to build their homes. Their recruitment is also at all levels of home monitoring. It is also possible to provide employment for unemployed people who have studied 10th, Inter, ITI and Degree. Guntur district housing ministry has already been recruited in some districts and is trying to replace the housing complex.